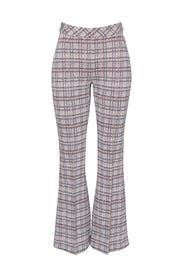 Flattering flared hems add a kick of retro-chic style to these cropped plaid trousers by Rosetta Getty. Pair it with the matching top. 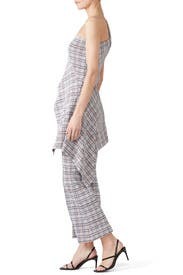 Poppy plaid jersey (87% Viscose, 9% Nylon, 4% Elastic). Pant. Pull on with interior elastic waistband. Sits at waist. Flare fit. 37.5" from waist to hemline, 28.5" Inseam. Made in the USA. 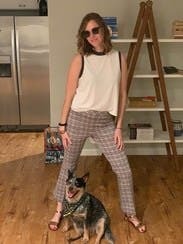 Great fit, super comfy, and a fun alternative for date night. Great Fit. Wore it to work and a night out. TTS pants. Extremely comfortable and well made. I rented these because of the unique colors and pattern. Next time I will order the medium, since the large was a bit loose. 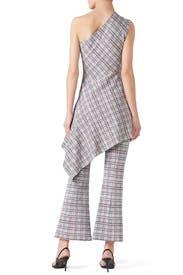 These are incredibly flattering spring pants! 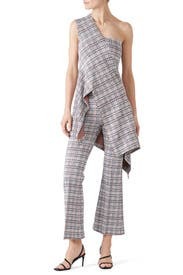 I hadn't even heard of Rosetta Getty until I saw her pieces on RTR and now I'm obsessed! I rented these pants and the matching pant. 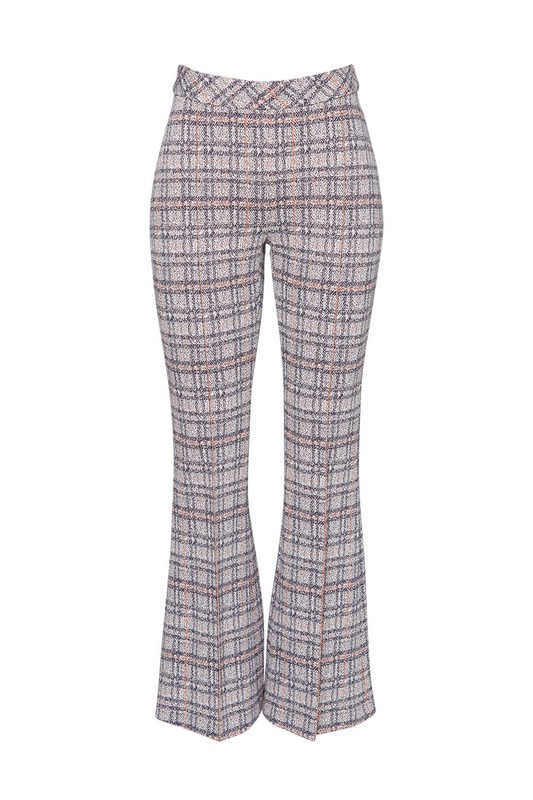 About the pant: The fabric is a thick, stretchy and gorgeous knit. The plaid is surprisingly muted and has enough color ambiguity that you'll have lots of flexibility coordinating shoes and accessories. For me, the pants looked perfect with a black skinny turtleneck and black patent pumps as well as a white boxy cropped top and a metallic blue flat mule. Very versatile. Based on the RTR guidelines, I ordered the XL. I usually wear a 10 or 12 or L pant. The XL fit great but the fabric is pretty stretchy and at some point, I might try the L. I'm between 5'7 and 5'8 and the pants didn't look that cropped, like they do on the model. However, they looked great with 4" pumps as well as flats. Just need to pair them with the right shoe if you're not super tall. LOVE these pants and so desperately want to keep them!